← Powdered Glass – An Instrument of Death? 1. “Do Unto Others” (short story) – Jeremy is a street hood, lawless and unchained. When he is wronged by a local businessman, it becomes his mission to seek revenge. But his new enemy has friends – ones that don’t take kindly to intruders. 2. “Colors” (short story) – Harrison Street. attorney, biker wannabe, coward. When he finds the bike of his dreams, it seems too good to be true. It is. 3. “Simona Says” (novella) – Simona has had it rough. Death, disenchantment, and disappointment are all part of her life. She wants to be happy for a change, and she’s willing to do just about anything to find some. Anything. Thomas has gone “the second mile” to promote me as a writer when my blog was in its infancy and he continually supports other writers every chance he gets. I’m honored to promote his new work. I knew Thomas was a good writer after reading his first novel The Clearing and I expected this anthology to be equally good. Well the stories are not only good, they’re GREAT and I HIGHLY RECOMMEND the book. These paranormal fables are perfect reads during the Halloween season. Oh, and in true Thomas fashion, he’s pledging 25% of the book sale royalties to St. Jude Children’s Research Hospital. I was born in 1957 in a small town in Western Pennsylvania that had – and still has – one traffic light. There wasn’t a whole lot to do there, and we had few neighbors, so I learned to play quite a bit of make-believe – soldiers, cowboys and Indians, that kind of thing. At the same time, I loved to read and watch old movies. On Saturdays, my dad played in a country western band, and I stayed up to wait for him. It was during that stretch that I discovered the horror movie. You know the ones I mean. Karloff, Chaney, Lee. The masters, right? Fast forward 40 years. 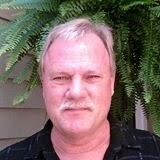 I’m now the project manager for a small civil engineering firm in picturesque Charleston, South Carolina with my lovely wife and four rescue pets, two dogs, two cats. Oh – and eight feral cats outside that put up with us because we give them two squares a day. Anyway, since childhood, I’ve loved to create. I played trumpet, sang, even dabbled in genealogy. Nothing quite did it for me. Over the years, I’d composed quite a few term papers and theses (there are a few ex-teenagers in this world who owe their English grades to yours truly), and unfailingly earned an “A”. My wife knew this, and one day just suggested that I try writing. What the hey, I thought. So I sat down and found a writing site called Hubpages. Nice little site, and I started getting the basics of writing a little from some of the inhabitants. I wrote a short story, and everyone liked it. So, I wrote another one. Except it kept growing, and I kept getting more ideas, and it lengthened to 20 thousand words, then 30, then 40. By the time I sat back, I had the rough draft of my first novel, except back then it was called “Werewolves and Flapjacks”. Somewhere along the way I decided to submit my work (now called “The Clearing) to three publishers. I was turned down twice, and miraculously was accepted by the gentleman who gently rules this site, Mr. Tim Taylor. And the rest, as they say, is history. By the way, you need to like Tim…he’s a great guy, and I owe him much, which can never be repaid. 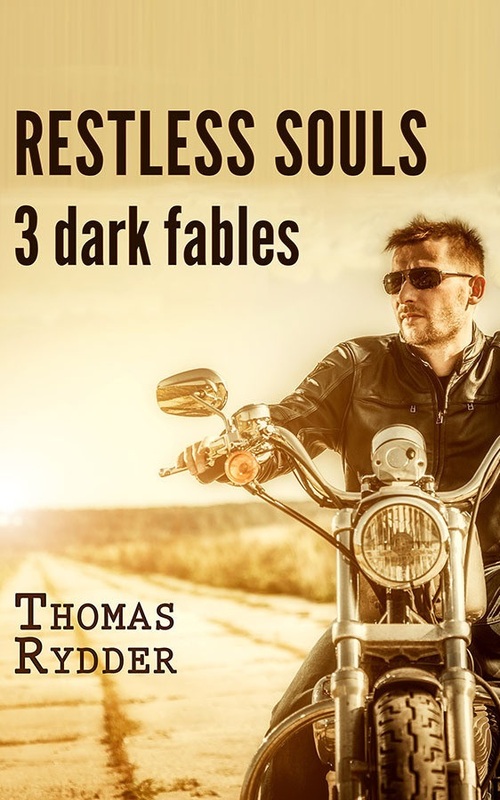 I now have a second book availabe – “Restless Souls: 3 dark fables” – an anthology (novella and two short stories) of ghost stories, and life is grand. Even though I make wise cracks about all of it, this is all like living a dream – and I don’t plan on waking up for a very long time. After twenty years in the Marine Corps, Major Frank Cutlip comes home to the quiet hills of his beloved Pennsylvania to take up a new life as the sheriff of Allegheny County. Professor Beth Lowe took up a post at Paxton University because she became enamored with western Pennsylvania’s charms, a more enduring love than she thought she would ever feel for a man. When Beth’s dog is savaged by wolves, their peaceful lives are shattered, and their fates entwined. On the brink of death, the dog not only survives but grows larger… and more vicious. A thousand-year cycle of carnage is reaching its climax once more, and the peaceful wooded hills will soon be smeared with blood. Sheriff Cutlip leads his community in a hunt for the hidden terror, but then his own brother is bitten, his blood corrupted by the ancient evil. The sheriff must confront terrible choices, and he can’t do so alone. ‘The Clearing” — a novel of ordinary people thrown together in extraordinary circumstances. This entry was posted in About Author Thomas Rydder, About Writing, All About Writing, Colors by Thomas Rydder, Do Unto Others by Thomas Rydder, Paranormal Thrillers, Restless Souls by Thomas Rydder, Simona Says by Thomas Rydder, The Clearing by Thomas Rydder, Urban Fantasy Anthologies, Urban Fantasy Paranormal Thrillers and tagged Blogger Book Blitz, Blogging, fiction writer, fiction writing, Guest Blogging, New Book Release by Thomas Rydder, Paranormal Thriller Writers, Paranormal Thrillers by Thomas Rydder, Thomas Rydder, Urban Fantasy Anthologies by Thomas Rydder, Urban Fantasy Anthology by Thomas Rydder. Bookmark the permalink. For all you’ve done to promote me and all the ASMSG gang?…I’m honored to do this. Anyway, tweets on the blog are happening all day today and thru next Monday. Just keep writing those great stories, my man! I got Restless Souls, read it, and enjoyed it. Compelling characters, and a story line that keeps you clicking next page. Glad you enjoyed it, Walt. Thomas will be pleased to hear that!